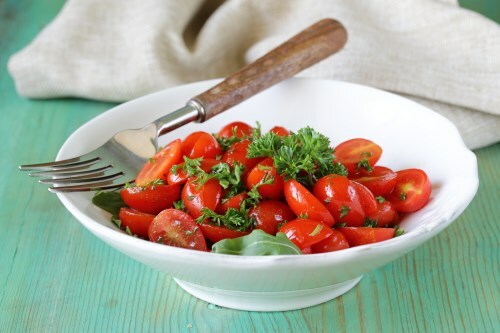 Mix tomatoes, melted extra virgin coconut oil, rice vinegar, and garlic powder together in a bowl. Crumble oregano between fingers to release flavor and add to the tomatoes; stir to coat. Season with salt. Let flavors marinate before serving, 5 minutes or up to an hour.